Carrying a credit card balance, and just making a minimum payment is expensive. You often pay 5 times more than the cost of the purchase. So if you thought it was a good idea to but that new big screen TV on your credit card because they were on sale for $1,000, guess what, it actually cost you about $5,000 if you just make the minimum payments over the next 5 to 10 years. You need to spend a lot of money monthly for an annual fee to make sense. If your annual fee is $100, and they give you $75 towards travel for every $15,000 you spend but you only spend $1,000 a month on your credit card then you are losing. Do the math, and make sure your rewards program makes sense. Even if you pay off your balance in full every month, you are effecting your credit score negatively. So if your limit is $5,000 and your charge $4,000 on your credit card, and pay it off in full. Your credit is going south. 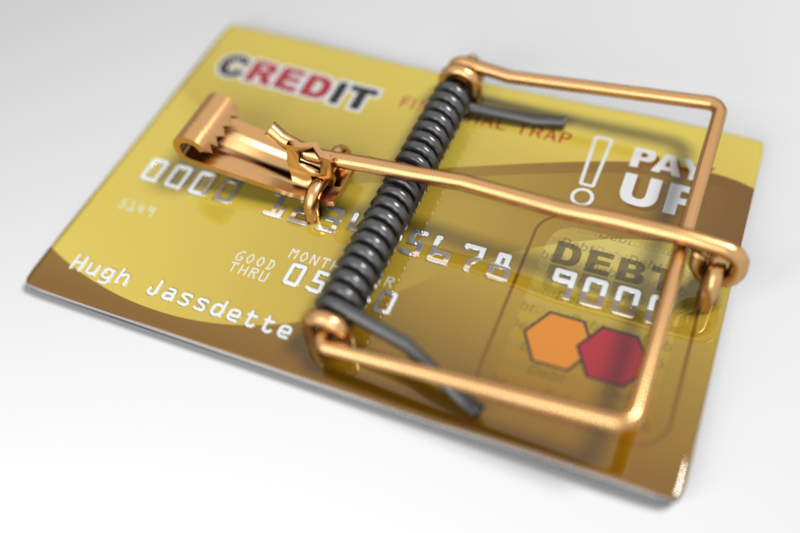 Credit card companies don’t tell you this but it’s called “utilization” and anytime you get closer to the limit, their algorithms predict you are at higher risk to default and end up in collections, so this effects your credit score. If your income has increased, and you can afford more credit, ask for it, but never charge more than 50% of your limit monthly. You co-sign a credit card for someone else with lousy credit. I spent 10 years in collection agencies, and if I had a dime for every time someone said their ex-spouse, ex-best friend, ex whoever screwed them over, and they got stuck with loads of debt from someone that took advantage of them, I’d have a million dollars. Nothing is forever, and when relationships go sideways, it’s always the “good guy” that gets screwed and pays the tab. Credit is a simple game, and once you understand the rules you can use credit cards, instead of them using you. Please share this article with someone if you think it would help.